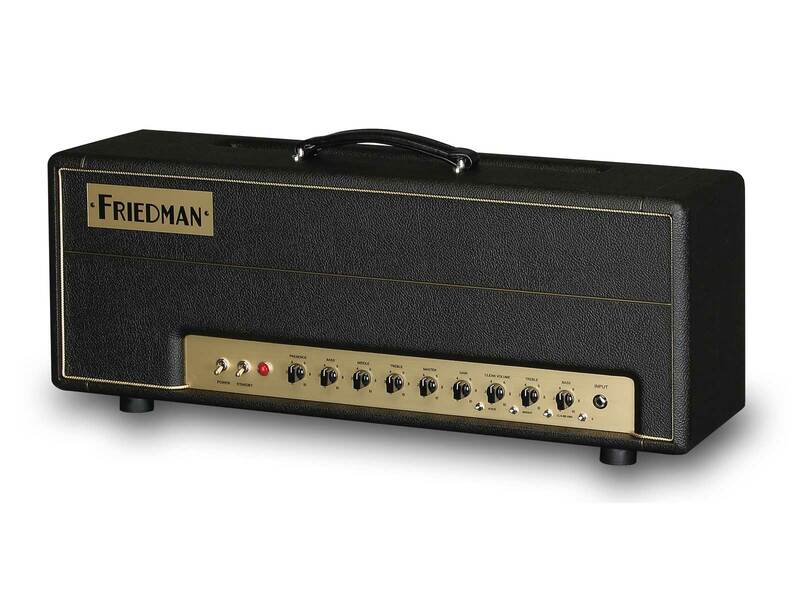 The Friedman BE100 is a hand-wired, 100-watt, EL34 powered, multi-channel British-style amp. By merely adjusting the gain and master volume controls, the BE100 can produce a variety of tones, seamlessly transitioning from blues to classic rock or hard rock to metal. 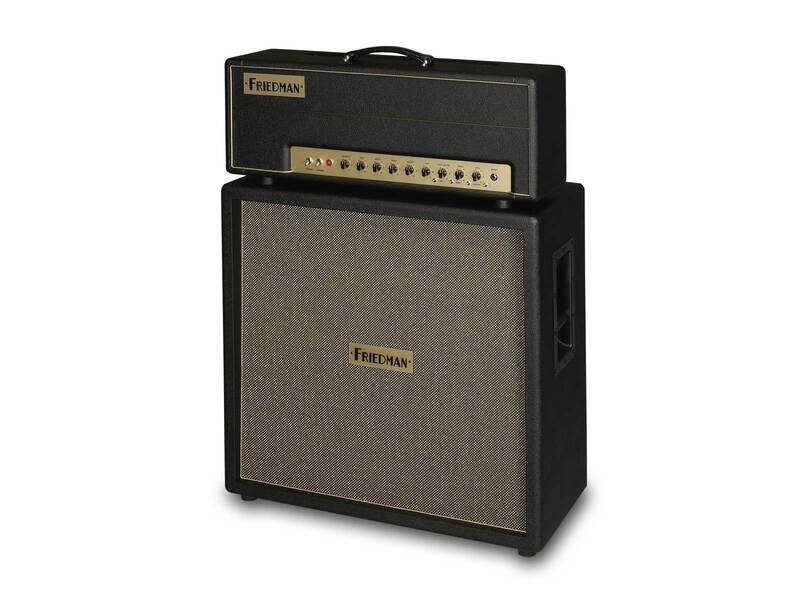 To say it is British-styled is just the start of describing this inspiring tone machine. 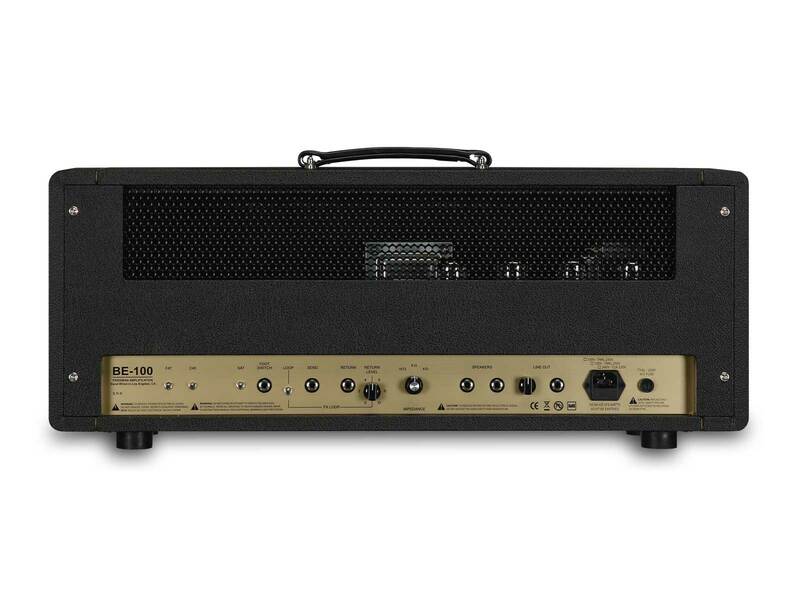 The BE100 is a critically acclaimed amplifier created for the many musicians who have longed for the Friedman sound in a 100-watt format, as seen on the stages of superstars like Alice in Chains, Pink, Bon Jovi, The Cult, and Foo Fighters. Plug into to the BE100 and you will instantly notice the huge, tight low-end and rich harmonically detailed chords at any volume, made possible by Friedman’s superior Master Volume control. 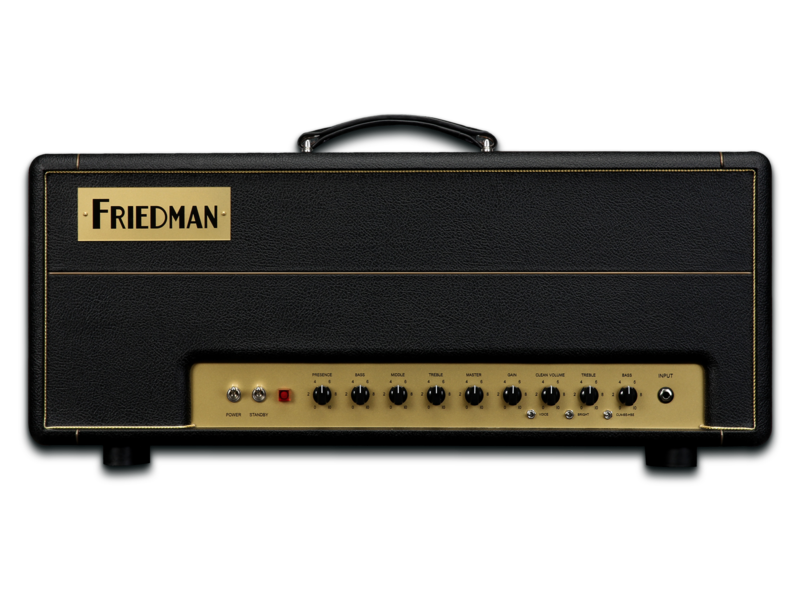 Single notes take on that Holy Grail singing quality all guitarists strive to attain but rarely can through most amps. The BE100 cleans up remarkably well with the guitar’s volume control, even with the amp on higher gain settings. For a more dramatic clean sound, switch over to the clean channel and dial in the bass, treble and three-way bright switch tone shaping controls. 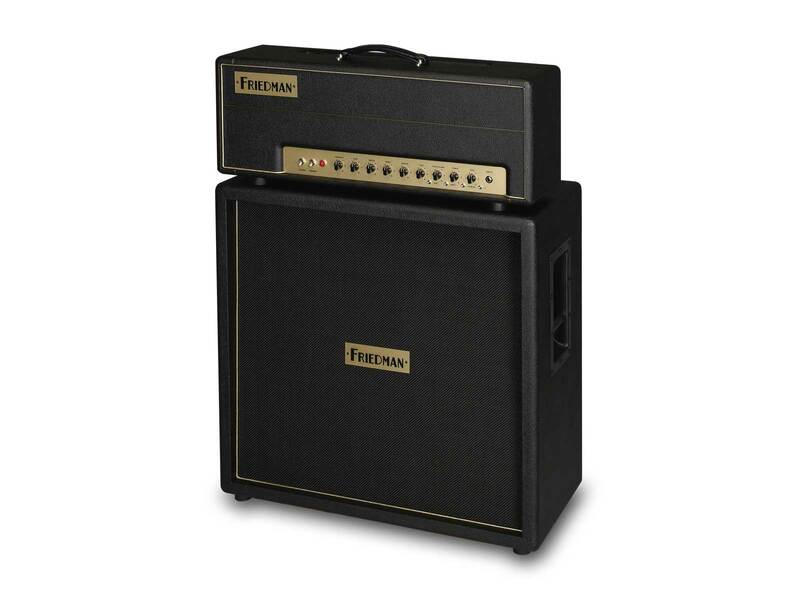 All 3 modes (BE, HBE, CLEAN) can be accessed from the amp’s front panel or from the included 2-button footswitch. The BE100 was designed to take pedals and loves boosts, OD’s, phasers, flangers, tremolos and wahs, while the brand new ultra-transparent series effects loop handles your time-based effects pedals and rack units. Play through the BE100 and you’ll see why this amp has received the prestigious Editor’s Pick Award from Guitar Player Magazine (Nov, 2013).